Naples Lakes Country Club is a private, gated, member-owned bundled golf course community centrally located on Davis Blvd on over 490 acres of land with 200 acres of nature preserve. Real estate at Naples Lakes is comprised of 731 residences in six villages. 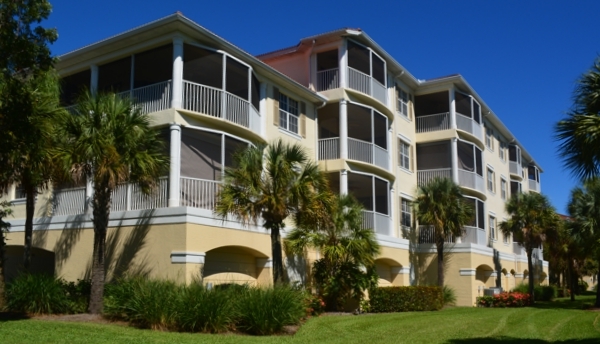 Four include Condominiums, carriage Homes, and Coach Homes each with village swimming pool, spa, and picnic area. There are no carports in Naples Lakes - every residence has a garage. There are two single family Villages of golf villas and estate homes. Amenities include a newly renovated 24,000 square foot clubhouse with formal and private dining rooms, outdoor terrace and patio dining, grille room, full service golf shop, state-of-the-art fitness center, and men’s and women’s locker areas, complete with showers and steam rooms. Additional amenities include an aqua golf range and practice facilities, five lighted Har-Tru tennis courts, and a Junior Olympic-sized community pool and spa, Cabana and outdoor grill service.